I am sure you have heard "It's not what you know, but who you know" many times. This is an excuse as to why someone else might be more successful than we are. However, as with most adages, a grain of truth lurks inside. Much of your business and financial success will be determined by your network -- not just who you know, but much more importantly who knows you. All of this boils down to your network -- people and businesses that support you and your business, and vice versa. Many people mistakenly believe that quantity strengthens your network, but quality is more important. For example, I have know person who can get me in front of thousands of qualified prospects with his endorsement. His solitary efforts could be more valuable than 500 weak ones. With the advent of social media, there is a huge myth that "friends" or "followers" equate to your network. The person I mentioned above is not even a social media friend, and yet that relationship could be worth huge money to my company. Social media (such as Facebook (FB), Twitter (TWTR), LinkedIn (LNKD), Google Groups (GOOG) and Pinterest) is just one small part of a solid network. Social media is a modern gold rush. Some people have made a fortune finding gold and utilizing social media. However, bigger fortunes were created selling all the stuff to help you find your mineral or virtual fortune. You should spend some time on selected social media outlets because there is no doubt that some good things can come from social media involvement. I know many people who have landed a job or gotten great leads from their social media accounts. Unfortunately, many of those same people totally ignore their non-social media networks. Gym (build your body and your contacts during the same time). Groups you or your kids belong to such as sports teams, scouts, clubs. Your workplace or place of business. Social groups, such as golf, cards, hobbies. 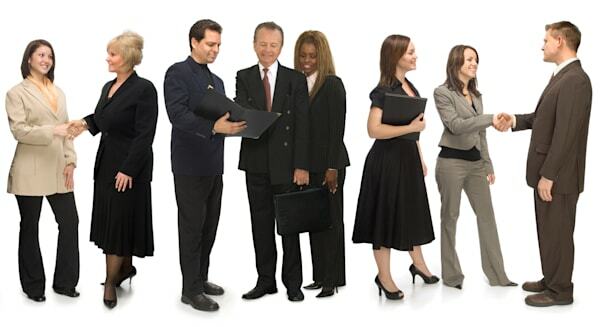 Within such groups is your next great job opportunity, your best new clients and life-saving people. The key is to know how to be a part of a network successfully. "John, what do you do for a living?" "I have my own wealth strategy company." "Wealth strategy? That's interesting. What's your specialty?" "I show families how to create tax-free generational wealth without risk or a 401(k)." "Great, John, give me your card, and while you're doing that, tell me how I might be able to help your business in the next year." This approach will blow John away and show you are not just a taker, but you are first a giver. When you get back to your office, immediately send John a thank you note with your card. Mention that you would like to find out more about how you both can help each other's business and you will be calling next week to set up a short chat. Don't ask for any business. %VIRTUAL-article-sponsoredlinks%By following this simple strategy every time, you are separating yourself from the crowd and showing that you are a professional and are genuinely concerned about the other person's business and wellbeing. You are not machine-gunning them with your speedy pitch, but instead you are establishing yourself as a resource for them. Try this simple strategy of asking your contacts what they do or what they need that you might be able to help with. If you can help, make sure you do, and you will develop future contacts for that perfect job or business and someone who will go the extra mile for you when the chips might be down. Get in the habit of finding out more about your contacts than they know about you. Focus on quality relationships with the right people rather than thousands of meaningless contacts that really don't care if you live or die. "Dig Your Well Before You're Thirsty" by Harvey Mackay is a required read for anyone serious about developing a powerful network.